So Steve and I did alot of moto trips when we were traveling through Southeast Asia and most of those trips were about a week long. 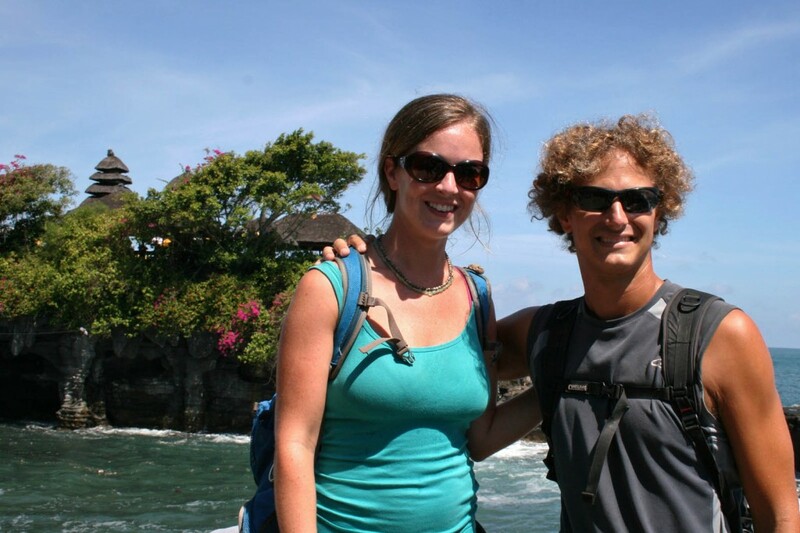 We always left our large packs behind at the guesthouse and then we would take take our small day packs with us. Packing for these week long excursions was always fun, and we definitely had to get creative at times. And honestly we only packed the essentials. People were always amazed by how little we had with us, but it was really liberating. By the end of our 6 months abroad I was ready to completely ditch our big bags and continue with only our little ones. 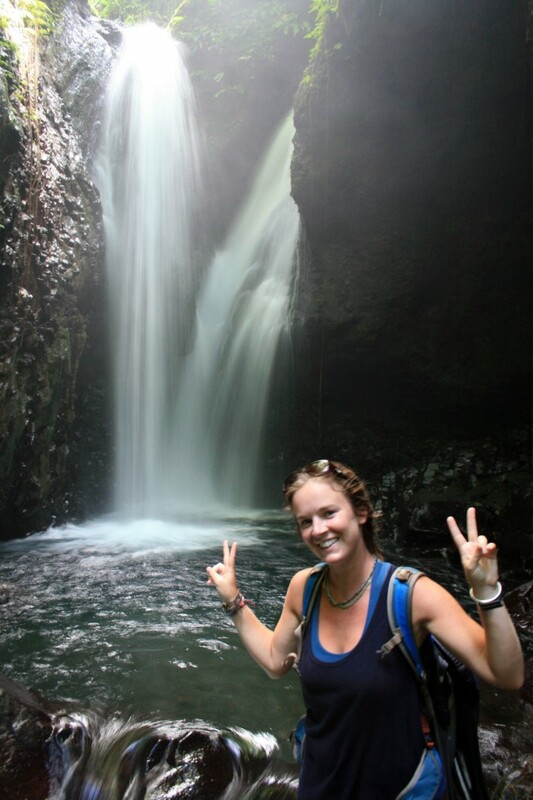 Rockin’ my pack… Steve and I made a side trip to this little waterfall on our way back toward Canggu. All of this stuff can fit into the Miwok pack….well, everything except the shoes. So when we were on the bike we always had shoes on, and the flip flops were stuffed in the pack. 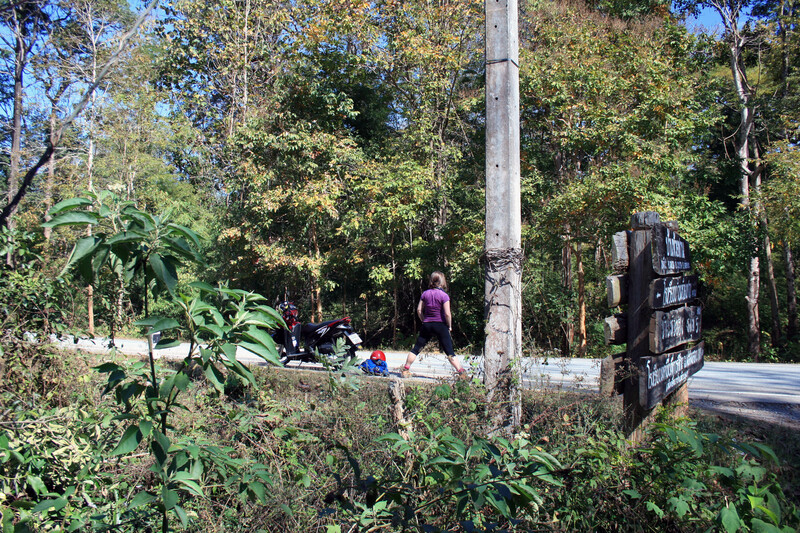 Steve and I did our first moto trip in Thailand where we did the Mae Hong Son Loop. Riding a moto for multiple days means lots of breaks for stretching, beer, coffee, sightseeing…anything is a good reason for a break!!! But here you can see my backpack…that itty bitty blue thing!!!! Planning a big trip? I have a comprehensive packing list that I put together for our trip to Southeast Asia here.